It’s been 21-years since the queen of Tejano music, Selena Quintanilla, was slain. Her tragic death happened just before her cross over English album was completed. Still, her memory lives on not just in her fans and family, but in the film Selena, which is the 10th highest grossing biopic of all time. With Jennifer Lopez cast as the “best selling Latin artist of the decade”, along with the amazing music, dance moves and costumes, here are 14 sensational facts you didn’t know about the film Selena. 1. Jennifer Lopez beat out a ton of other actresses to snag the role of Selena Quintanilla. 2. The role was huge for Lopez, she became the highest paid Latina in Hollywood history at the time. She earned $1 million dollars for the film. 3. Director Gregory Nava had to fight to get a Latina actress to play the role because Warner Bros. was in talks with some white actresses to play the slain singer. SMH can you even imagine how disgraceful that would have been? 4. Despite all of this, some Latino advocacy groups were not happy about Jennifer Lopez portraying Selena. Lopez is Puerto Rican-American, from the Bronx, New York, therefore many Selena fans felt she was not a suitable choice to play the Mexican-American singer from Texas. 5. Lopez took her role extremely seriously. She even moved in with Selena’s sister Suzette Quintanilla for four months in Corpus Christi, Texas to learn more about the late singer. 6. The film inspired J.Lo to become a singer. If it weren’t for her role, there would be no, “If You Had My Love”! Can you even imagine?! 7. Speaking of singing, Selena’s vocals were used throughout the entire film. J.Lo only sang three words during the entire movie, when she begins the slow version of “Como La Flor”. 8. Though Lopez is a trained dancer, she found the dance movements for the film to be very difficult. 9. Selena’s father Abraham Quintanilla wanted Nava to remove the eloping scene from the film. 10. Abraham Quintanailla never knew that it was his daughter who proposed to Chris. He did not find that out until he read the film’s script. 11. Jon Seda, who played Chris Perez, couldn’t actually play the guitar. Therefore in the close-up shot him playing, Perez actually stepped into to play for that scene. 12. 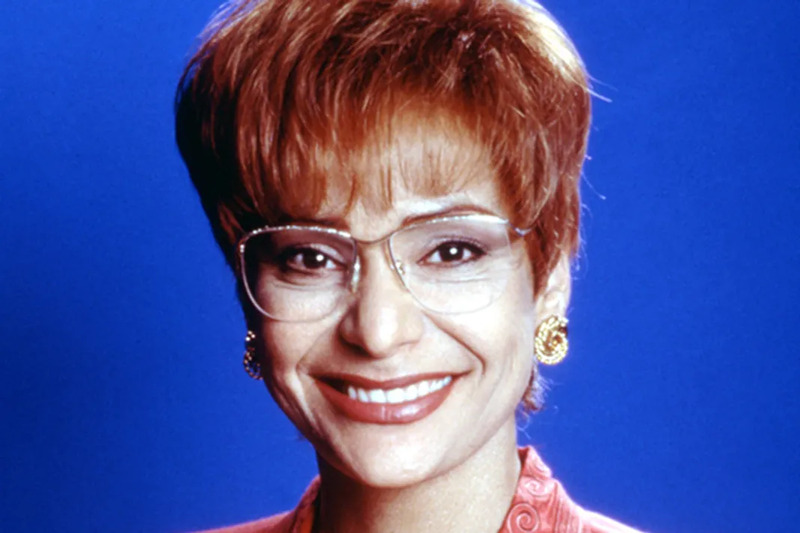 Actress Constance Marie, who played Selena’s mother Marcella Quintanilla, is only four years older than Jennifer Lopez. She spent 4 hours in makeup each day for the role since she was on 30-years-old when the film premiered. 13. For the scene where Selena performs her final concert at the Houston Astrodome, Nava brought in 35,000 extras. The concert was actually shot at the Alamodome in San Antonio, Texas. 14. Abraham Quintanilla did not want Selena’s murder to be depicted in the film at all. However, director Gregory Nava insisted that it was dramatically necessary. It certainly makes us weep every time we see it. The Cast Of 'Selena' Where Are They Now?